Endorsements: ""Time will show whether the term (glocal) will establish itself as more than a clever play of words. The following pages indicate that it may well deserve to be adopted as a meaningful ecclesiological concept. In fact, it might have been coined already on the basis of New Testament ecclesiology itself without the midwifery of today's globalization . . . The New Testament church is . . . universal and local at the same time. The universal, one and holy apostolic church appears in local manifestations. Missiologically speaking . 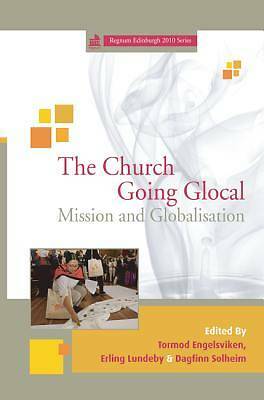 . . the church can take courage as she faces the increasing impact of globalization on local communities today. Being from her very birth both universal and concrete the church is geared for the challenging simultaneity of the global and the local. Our question to ask is how her dual nature may best be expressed to enhance her continuous witness to Christ--locally and globally."" From the Foreword by Professor Emeritus Jan-Martin Berentsen ""This book provides thought-provoking and inspiring reading for all concerned with mission in the 21st century. I have been challenged by its contributions to rethink our Gospel ministries in our new local contexts marked by globalization, migration and with Muslims as our neighbors. With its biblical foundation, its missiological reflection and interaction with contemporary society I warmly recommend this volume for study and pray that it will renew our passion for the Gospel and compassion for people."" Rt. Rev. Ole Chr M Kvarme, Bishop of Oslo About the Contributor(s): Tormod Engelsviken is Professor at the MF Norwegian School of Theology and Editor of Norwegian Journal of Missiology. Erling Lundeby is Associate Professor at Fjellhaug International University College and has served in Kenya with the Norwegian Lutheran Mission and Evangelical Lutheran Church in Kenya. Dagfinn Solheim is Associate Professor at Fjellhaug International University College and has published The Missionary Movement within the Lutheran Church.